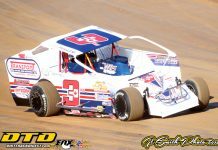 CONCORD, NC – When it comes to full-fender racing, you might not think of NAPA Auto Parts Super DIRT Week. 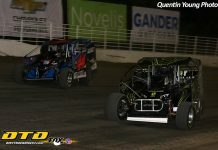 However, those who have witnessed the Super DIRT Week Pro Stock feature know they put on one of the best shows of the week. 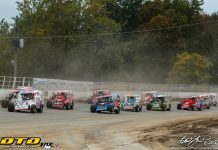 Race fans will see the highly competitive drivers lean on each other in the corners and bump down the straightaway vying for position. 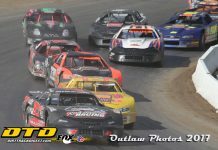 The racing is fierce, and since the 50-lap Feature is the second-to-last points-paying race, the competition is tense throughout the field. 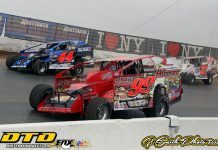 The DIRTcar Pro Stocks are some of the most well-prepared racing machines in the pit area at NAPA Super DIRT Week. 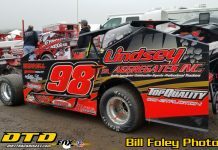 Walk through the pits and you will see immaculately wrapped or hand-painted race cars and well-dressed crews amongst the many Pro Stock entries. 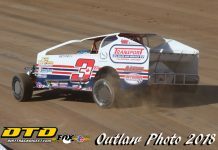 Robert Yetman has dominated the NAPA Super DIRT Week Pro Stock program for the last five years running. 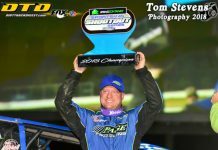 He’s parked his bright green Pro Stock in Victory Lane five times in a row, spanning over the transition from the New York State Fairgrounds to Oswego Speedway, a record that is unlikely to ever be broken. 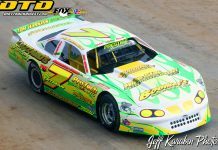 In addition to his five wins, Yetman also has two second-place finishes and three pole positions. 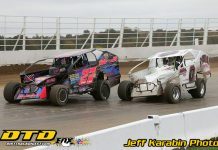 Although he was shut out of the win column in tour competition in 2018, Yetman won the Track Championship at Lebanon Valley Speedway. 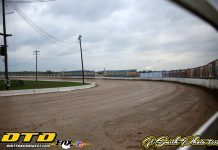 Going into the Championship night, Yetman was fourth in points, and started 14th in the Feature. He drove all the way up to the front and won the race and the Track Championship in one fell swoop. 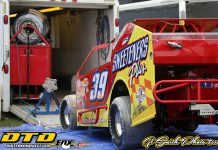 Watch for Yetman to once again put his stamp on NAPA Super DIRT Week. C.D. 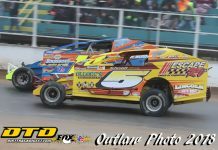 Beauchamp is the only driver with two DIRTcar Pro Stock wins in 2018, one at Airborne Park Speedway and another at Autodrome Granby. 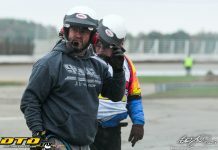 Beauchamp won the Track Championship this year at Cornwall Motor Speedway. 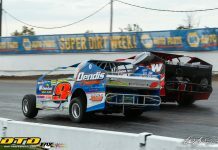 Fonda Speedway Track Champion Kenny Gates looks to improve on his 14th-place finish from last year. 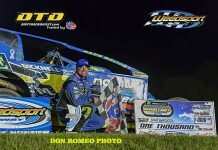 He picked up the DIRTcar Pro Stock win at Fonda Speedway during Thunder Along the Mohawk weekend. Gates was certainly fast, but it took a little luck to net the victory as the leader drove into trouble with 10 laps to go, allowing Gates to finish the race at the top of the results. 2017 Pro Stock Last Chance Showdown winner Marc Lalonde is making his return in 2018 for another crack at the Grand Prize. Lalonde drove his way up to 11th after starting in the back of the pack last year. 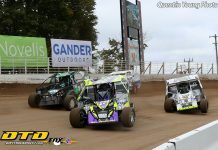 2018 was a solid year for Lalonde’s team as he finished fourth in points at Cornwall Motor Speedway. 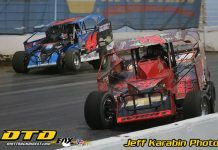 Last year, driver Jay Corbin finished 12th in the Pro Stock Feature. 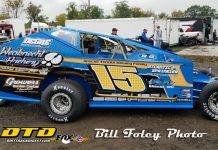 The Troy, NY native finished second in points at Albany-Saratoga Speedway in 2018. 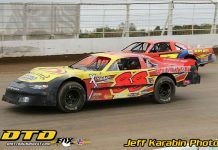 Corbin hopes to convert that momentum into a strong finish at Oswego Speedway. 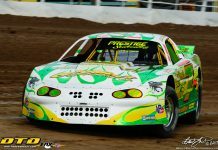 Le RPM Pro Stock race-winner Roch Aubin wants to improve on his 21st-position finish from last year. Aubin was the beneficiary of a wild feature event at Le RPM in 2018. A pile-up at the front of the pack with two laps to go put him into the second position before the green-white-checkered flag finish. He even crossed the finish line in second, but luckily for him, the leader was light on the scales and Aubin was awarded the race win. 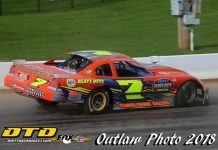 Can Robert Yetman make it six in a row, or will someone new grace the stage in Victory Lane in 2018? 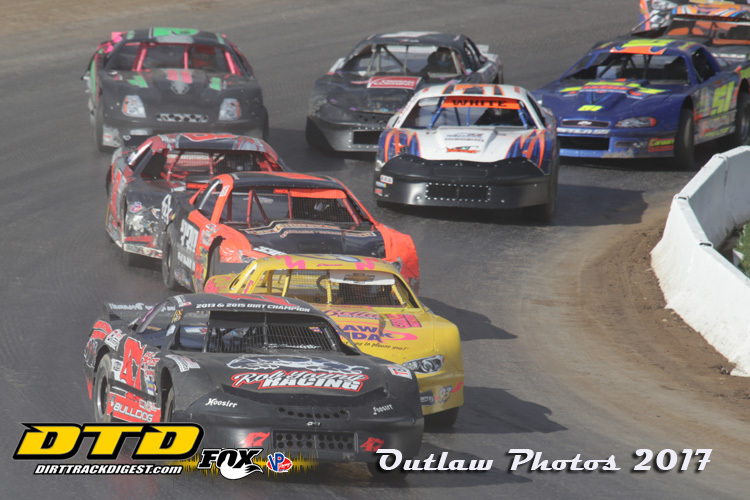 The DIRTcar Pro Stock 50 is on Sunday, October 7, before the Big-Block Modified Billy Whittaker Cars 200 rolls off. 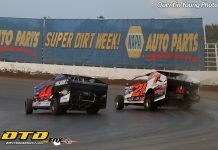 Tickets for the 47th annual NAPA Super DIRT Week are still available online or by calling 844-DIRT-TIX. 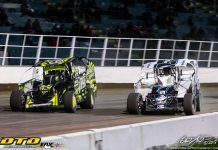 Stay tuned to the Super DIRT Week, Super DIRTcar Series and DIRTcar Racing social media channels for the latest news on NAPA Super DIRT Week.